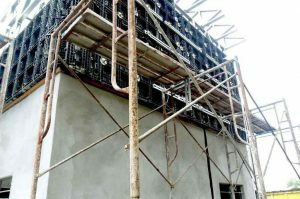 Concrete formwork are structures that make use of liquid concrete poured into moulds to build architectural structures. As long as the structures were made by liquid concret, the concrete formwork system will be used as neccessory tools at site. The strength of a building, the tidy of construction site, the speed of construction, and the cost of the project will depend to a great extent on the type of formwork used in the site. Read below to understand the differences between the five major types of formwork systems used for concrete construction work. Traditional Timber Formwork Systems: A combination of plywood and timber are used to create these traditional formwork systems at the construction site. Moisture resistant particleboards are often used as a substitute for plywood for making formworks of this type. If you use traditional formwork for larger architectural structures, then it will take you a lot of time to complete the construction, and waste lots of wood, even though it’s very easy to produce. Re-Usable Plastic Concrete Forms Systems: This type of formwork can be used again and again and modular for constructing different types of architectural structures. These systems are modular and are simply set up to use as compared to other types of formwork systems. Houses built under mass housing schemes often utilize plastic formworks as they are robust and lightweight. They help to incredibly lower the cost of construction and faster the construction speed as they can be re-used about 100 times. Steel Formwork Systems: These types of formworks use metal frames for the prefabricated modules. Aluminium and steel are the common choices for metal frames used in engineered formwork systems. The use of steel formworks can highly speed up any construction project, as compared to traditional formworks. The life-cycle cost of such formworks is low compared to other types of formworks as their metal frames cannot be damaged easily, although they need to repair when used up. However, the heavy weight is the disadvantage of such formworks, generally cran is neccessory to set up the formworks. Permanent Insulated Formwork Systems: Insulating concrete forms (ICF) are typically used to construct permanent insulated formwork systems. Such formwork is usually assembled at the construction site. Once the concrete has been cured, this formwork stays in place. It is much stronger than other types of formworks and also enhances the speed of construction. Acoustic and thermal insulation offered by such formworks are higher compared to other types. Stay-In-Place Structural Formwork Systems: These formworks are assembled on location using plastic forms that have been reinforced with fibre and prefabricated for use. Piers and columns are often built using stay-in-place structural formwork systems. They are usually available in the shape of hollow tubes. As the name suggests, the formwork stays where it is following concrete cure. Shear and axial reinforcement is provided by these concrete formworks. They also protect the structure from environmental hazards such as freeze-thaw cycles and corrosion. Now that you know about the different types of formwork systems, you must consult a professional formwork contractor or formwork supplier to select the right type of formwork suitable for your construction needs. 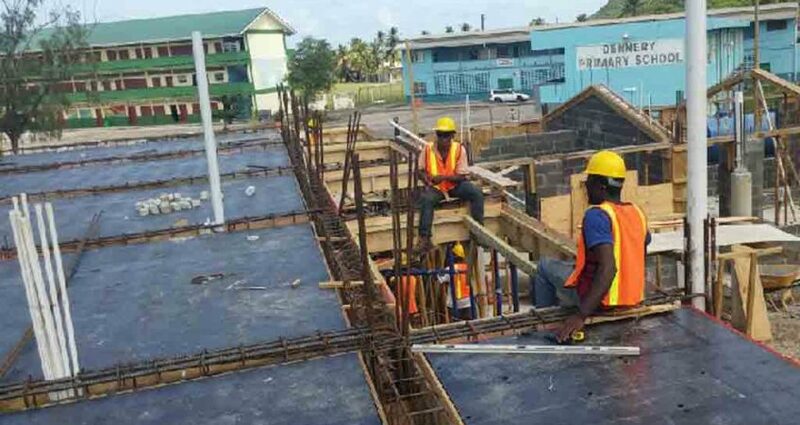 The strength and durability of a building depends upon the formwork used, so make sure that the contractor you hire has in-depth knowledge and experience in this field and is able to give you the right advice.